Is this the year that ends the incessant Audi dominance at Le Mans?????????? Who the hell knows, really. 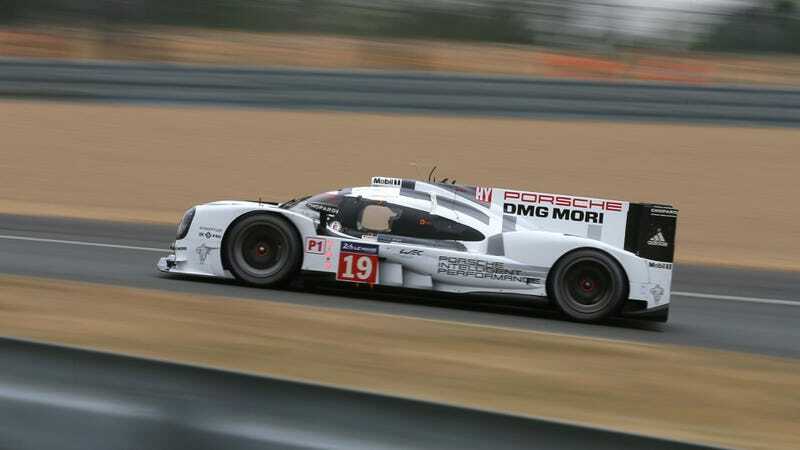 But Porsche and a whole bunch of others are willing to take a stab at it, and so far the Porsche 919 is drawing first blood. It just set the qualifying lap record on the Circuit de la Sarthe at 3:16.887. Obviously, we should concede that this means absolutely nothing, especially at Le Mans. Not only are the beastly Audi R-18 e-tron quattros, with their absurd names, about to set their own qualifying lap times, but the 24 Hours of Le Mans is a marathon, not a sprint. The Porsche 919 teams can still pull a Toyota TS020 move and blow a tire right at the very end, making this all a fruitless endeavor. And it might be especially meaningless if you’re one of those people who remembers all the way back to 1971, when the track ran its original super-fast configuration, and a Porsche 917 set a record at three seconds quicker than the modern pace. But at least Porsche can enjoy it for now! Oh, also, that funky-fresh Nissan GT-R LM Nismo is over 20 seconds back, in 12th qualifying position.